Chinmay Yoga takes immense pleasure in welcoming you to its in-depth learning experience. This experience is more like an evolution of your life, carving a path to lead a more beautiful and healthy life. For us, at Chinmay Yoga, Yoga is a way of life and not just an activity, which requires a calm mind which is open to transforming and exploring. We realized that the art of Yoga has turned into a word synonymous with a physical exercise and is treated like any regular physical fitness activity, making it seem like a sport. However, we, as an institute, strongly disapprove of such treatment and do not agree to present the art of Yoga as any common fitness exercises. Our sole focus remains on reviving the original essence of Yoga, perfecting the body alignment and calming the mind and bringing peace to the soul. We aim at developing the culture of the art form that was followed by Patanjali and has been mentioned in the ancient manuscripts. While other institutions simply are focusing on making money out of this, we are simply interested in spreading awareness relating to yoga and its benefits. We are an organization with the sole aim of imparting world-class facilities for promoting the art of yoga without making any profit. We only charge for the costs incurred, which includes accommodation, food and yoga teaching experts. We seek to provide a healthy atmosphere to all our members wherein we look at everyone individually. This enables them to let themselves free, instead of worrying about competing with the others. We have been training our students to use the art of Yoga as a tool to establish inner peace, gain success and attain self-satisfaction, making this our expertise. For those who practice Yoga regularly, the result will be very evident in the form of a sound sleep, energetic performance, enthusiasm, and fitness. After the course, our students often write to us about their positive mental health, physical ease, and spiritual uplift. Our Yoga Experts of Yoga Teacher Training in Dharamshala are extremely experienced and understand the seriousness of this art. We work in various styles and offer a plethora of knowledge relating to this art to our students in the form of a Yoga Expert and classes. Each course will lead to a guaranteed inner transformation bringing immense peace and positivity to those practicing it. We maintain the number of students in a class to ensure individual attention. We do not believe in making heavy profits from such a noble profession, we believe in spreading knowledge and the power of yoga to change lives. Our mission is to spread peace, wellness, and positivity through the medium of yoga. Everyone is welcome to our ashram, it is a place to learn every aspect of yoga, including how it helps in purifying mind and soul. We put in a lot of thought into making our institution’s Yoga Teacher Training environment creative and well balanced. Our focus and aim mainly lie on training our students with all that is required to become an expert yoga trainer. We, considering our promise to deliver all that needed for becoming a perfect yoga trainer, offer everyone Yoga Teacher Training in the serene location of Dharamshala. Our institution is an endeavor to carry forward the essence from the message great Himalayan Masters. The message that emphasizes on self-acknowledgment, which is, to be aware of the truth inside and create an extension between the internal and external universes. The journey of discovery of self will lead us to liberate ourselves from all the worry, strengthen ourselves and self-transformation. We respect and wish to smoothen your journey toward self-realization and prosperity. Our courses aim at diminishing the present worries while relying on the conventional age-old yoga practices. 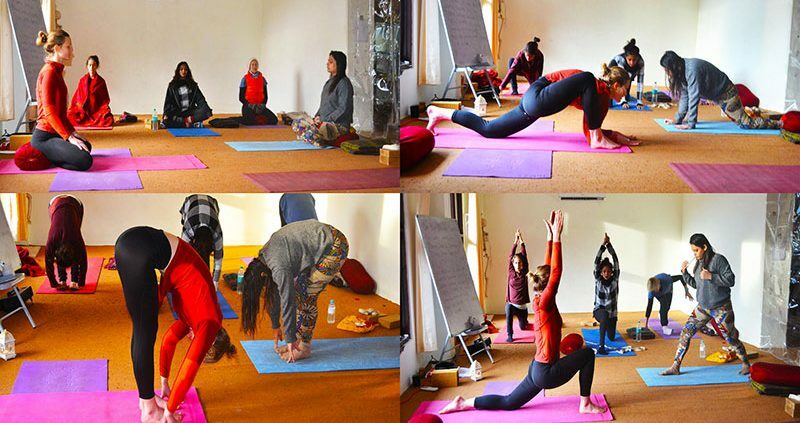 Age and flexibility is no bar, Yoga Teacher Training in Dharamshala will always be relevant for you and we will be privileged to be a part of your journey. Our classes teach different styles and methods of yoga each, however, they still one typical thing – perfection. Perfection is what makes Chinmay Yoga stand out as the best yoga studio with the highest quality of results. Most of the trainers who are a part of our ashram have completed at least 500 hours of Yoga Alliance affirmed training modules and our senior instructors have an experience of 20 years which has sharpened their skills even more. Our signature Chinmay Yoga classes direct the exact technique to regulate the breathing to create shallow motion. We also design sequences and offer suitable alterations which would enable one to improvise while practicing. Our themed classes give a more profound understanding of yoga and its relevance in the present day. We take immense pride in our programs which are extremely accessible for people from all walks of life and all ages. Our approach is the trademark for our classes, which is security, generosity, and proficiency in training. Yoga is a very rich field of study which involves learning about all aspects of living. Even in ancient times, those who sought the yogic lifestyle abandoned the worldly attachments. Yoga, presently, is understood as a guiding light in one’s routine. The focus is on striking a balance, to attain moksha amidst the material inducements in life. It is only through self-actualization that one can attain well-being, peace, awareness, and satisfaction. We believe that it is our trainers that form the most significant part of our organization, Chinmay Yoga Teacher Training in India. We, with our practitioner and trainers, oblige all the requirements of all our students, be it, mental, physical or spiritual. During the same period, they develop their Ashtanga Vinyasa Yoga practice, enhance their insight into yogic theory while training in yoga and living in a real yogic way of life. While training, we discuss asanas using both, the Western and the Eastern styles, we talk about Eastern autonomy along with a Western structure, thus giving our students a complete overview using both the perspectives. We have a team of the most efficient individuals, who train and organize courses. The varied foundation and education derived by each of our trainers makes the group diverse and helps in guiding through the learning effectively. We train in a very dynamic atmosphere which is extremely friendly, urging everyone to learn and grow with us. You can also contact us if you have any queries regarding the Yoga Teacher Training in Dharamsala. Every course offered by Chinmay Yoga is a certified course by the Yoga Alliance in the United States of America and Yoga Alliance International. The students, here, learn yoga in an extremely friendly climate with complete participation and get what they looked for in an institution, even more so. Look what our Yoga Family has to say about us! We have also had students who are travelers and bloggers who blog about their journey and experiences across the world. Two of them were Nuria Estruga and Sebastian Kraus. Nuria, one of our amazing and kind student, who travels around the world and works parallelly by providing online marketing consultancy. 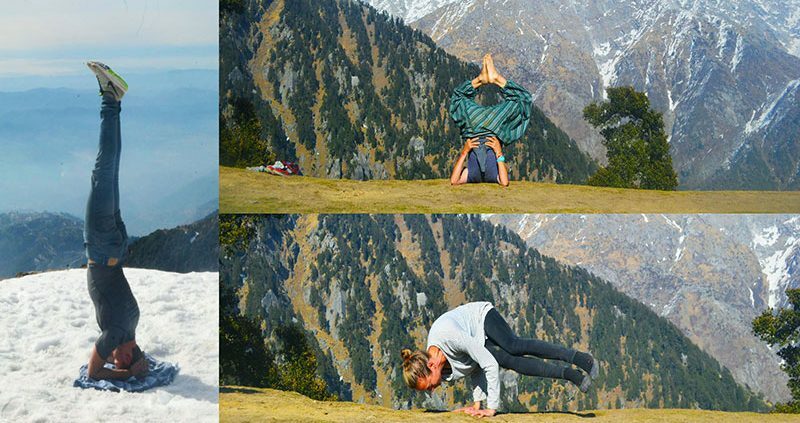 She did her 200-Hour YTTC with us in October 2018 and has written a blog about her experience with Chinmay Yoga. Sebastian, an amazing and a very down to earth person did he training with us in November 2018. He writes about travel, thoughts and positive things around us in his blog Step Into Nature. 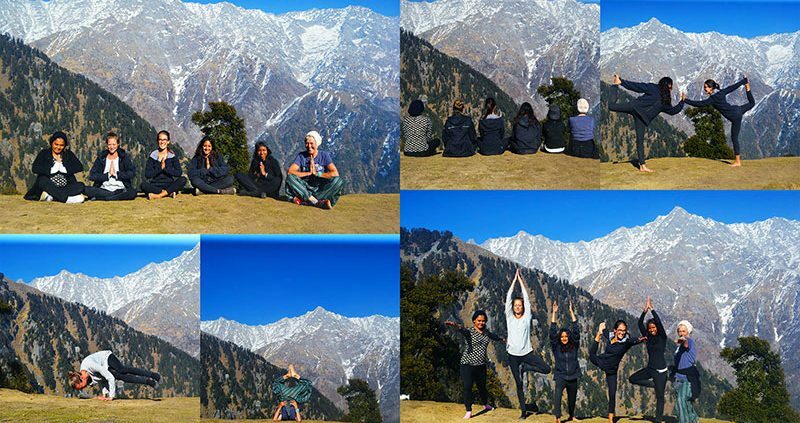 He wrote a blog about his detailed experience of his YTTC with Chinmay Yoga! If you wish to watch video testimonials of our student of the previous batch, you can check them from our Youtube Channel or our Video Review Chinmay Yoga Page.